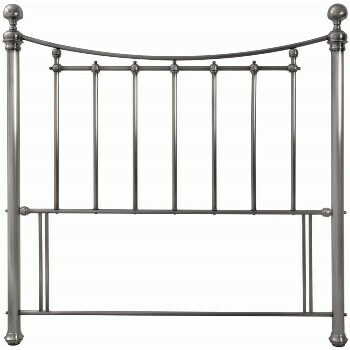 Our range of online Metal bed headboards in modern/contemporary and traditional styles, sizes, types and finishes. 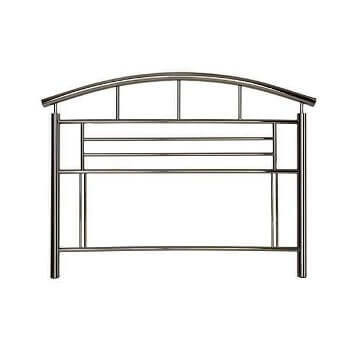 All of our metal headboards are listed in these two sections. 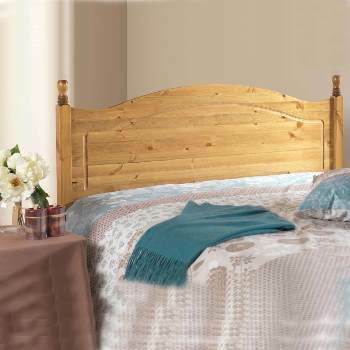 We have sourced the best H/B from around the UK and abroad. 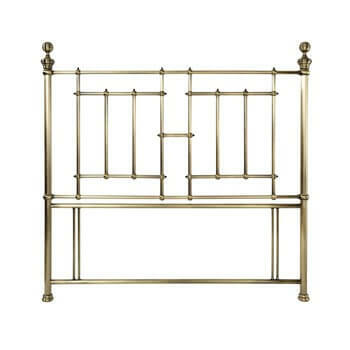 You can choose from a huge selection of specialists metals including antique brass, nickel, chrome and gold finish H/B. 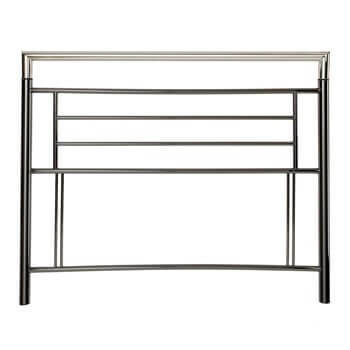 Metal painted colours include black, silver, ivory, bronze and white in either floor standing or the standard fitting with legs/struts. 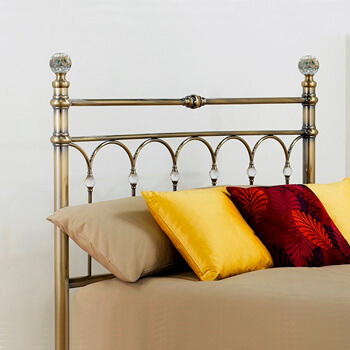 Do you require the fixing bolts? 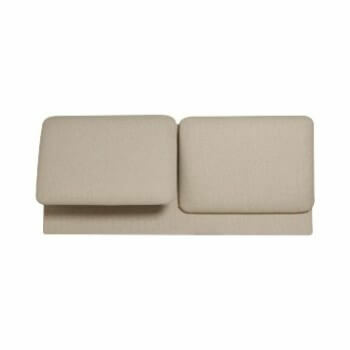 Now there's a question? 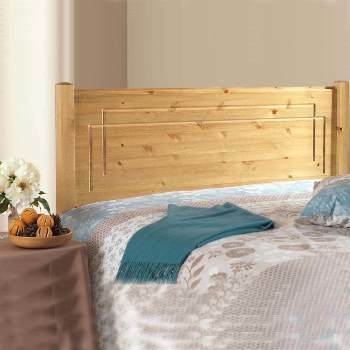 Well if your headboard is going on a new bed the answer is NO the fixings come as standard with new beds. 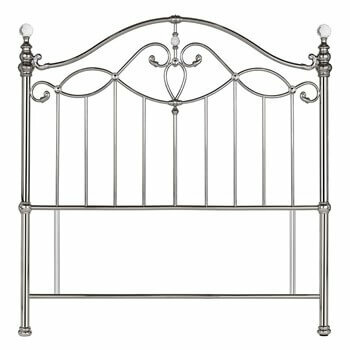 Replacing an old metal bed headboard? 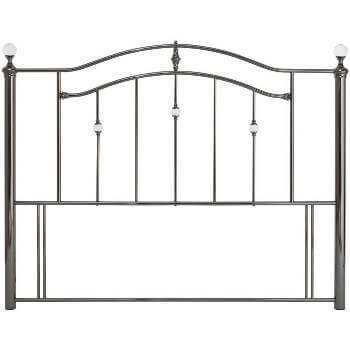 The answer is NO the ones fixing the old headboard will do. 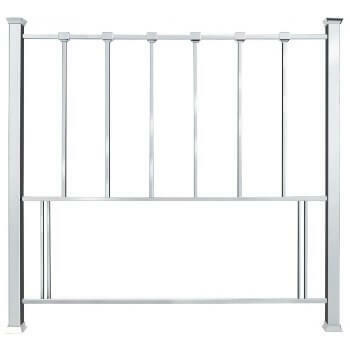 If neither of the above answer is YES you need a set of fixing bolts. 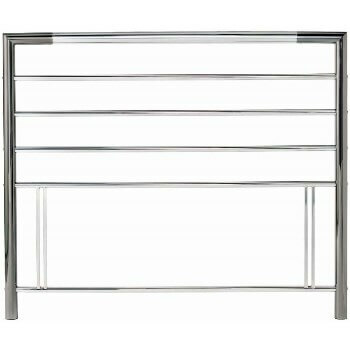 Krystal shiny chrome by Bentley Designs. 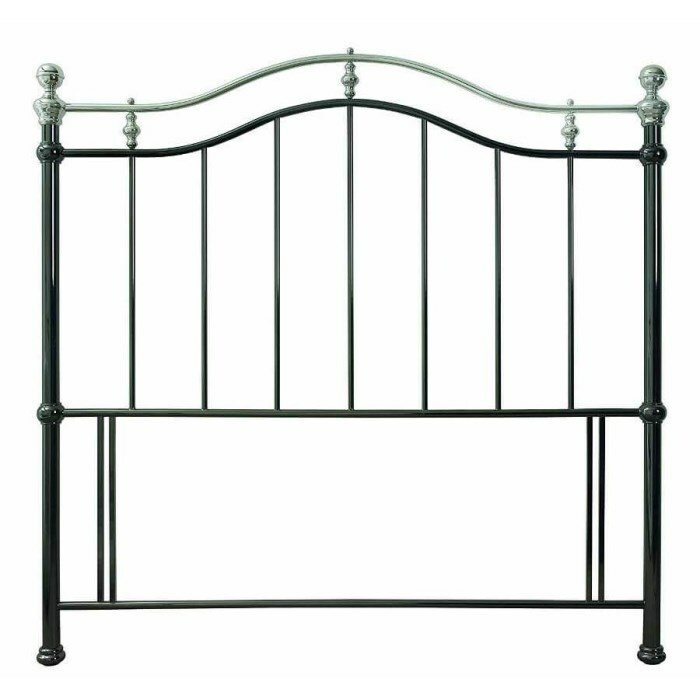 Ashley black nickel headboard by Serene. 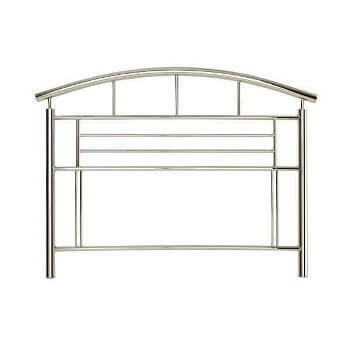 Jessica nickel headboard by Serene. 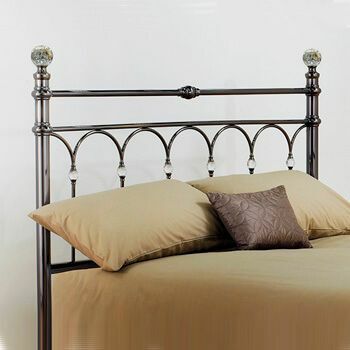 Edwardian black headboard by Serene. 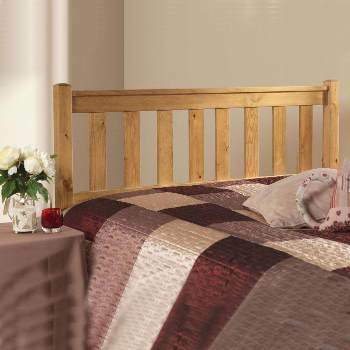 Alice off white by Bentley Designs. 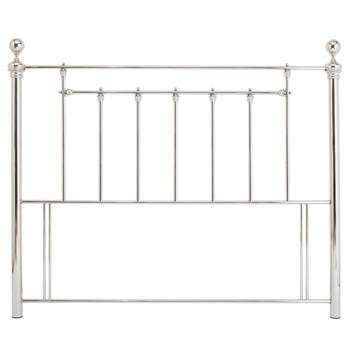 Trafalgar krystal black nickel headboard. 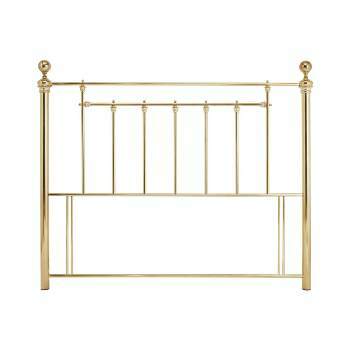 Benjamin brass headboard by Serene. 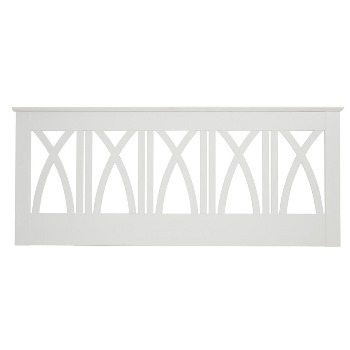 Benjamin nickel headboard by Serene. 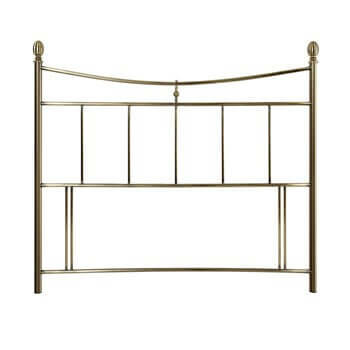 Isabelle nickel headboard by Bentley Designs. 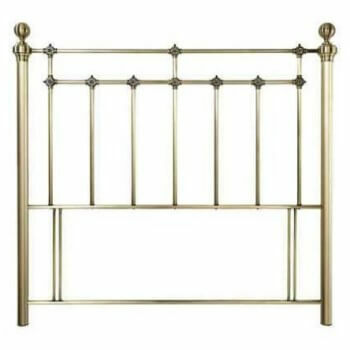 Isabelle brass headboard by Bentley Designs. 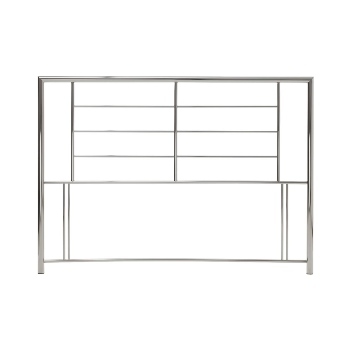 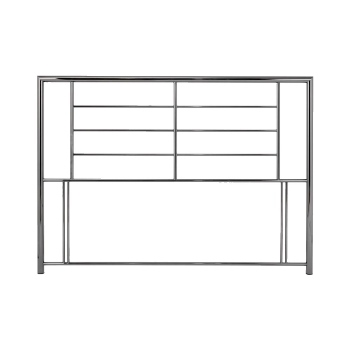 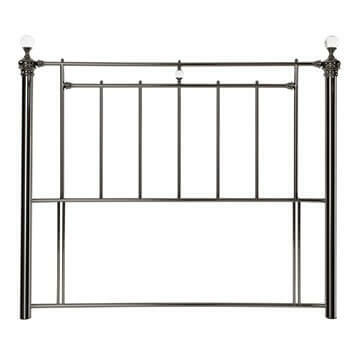 Richmond metal headboard by Swanglen.